Las Buganvillas Apartments is an adults-only aparthotels, located in southwest Gran Canaria, between the picturesque beaches of Puerto Rico and Amadores. Boasting pleasant weather all year round, the hotel is perfect to spend a relaxing holiday in the sun with your loved one. Although the hotel is situated in a quiet locale, the Europa Shopping Centre is nearby, which is home to a host of bars, cafeterias, supermarkets, restaurants and night-life. Offering gorgeous sea-views and cosy atmosphere, the aparthotel features 36 fully-furnished apartments that come with a bedroom, an open fully furnished kitchen and a private balcony or terrace. Guests are treated with warm hospitality and accorded the privacy they desire. Guest can bask in the warm and pleasant sun at the outdoor swimming pool, equipped with parasols. The Las Buganvillas Apartments are just 20 minutes’ drive from the vivacious resort Playa del Inglés, which is famous for its nightlife. Supermarkets and restaurants are within a short walking distance from the Las Buganvillas Apartments. 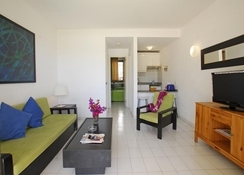 The closest airport is Gran Canaria Airport, which is about 50km from the property. 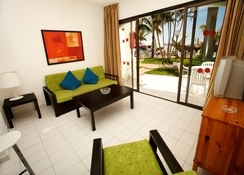 Las Buganvillas Apartments has studios and one-bedroom apartments for its adults only guests. Each guestroom offers gorgeous views of the sea, the pools or the garden from the balcony or terrace. The rooms come equipped with pay-per-view TV, safe, free WI-FI, fully equipped kitchenettes with refrigerator and ceramic hob and a seating area. Las Buganvillas Apartments is a self-catering apartment and guests are provided a furnished kitchen to prepare their own meals. There are several supermarkets, cafés and restaurants within a few minutes’ walk from the hotel. However, there is a lovely snack bar by the poolside that offers a wide array of national and international drinks. Delicacies such as barbecues, paellas, etc. are made onsite at live counters for the guests. Guests can a take a stroll at the beach a few steps away or lase on sun loungers at the hotel’s two pools equipped with solariums. The pools are heated in winter. Guests may also explore the well-manicured hotel grounds and surrounding gardens. Golf enthusiasts may tee-off at the Anfi Tauro Golf Course, which is about 6km from the hotel. There is a water park and a tennis court off site. Activities like diving, hiking, windsurfing and fishing can be arranged. Distance to Europa Shopping Centre: 300mts. We found this place met our expectations and enjoyed our stay. The rooms were clean and tidy maids coming every other day. We had a balcony apartment on the corner which was ideal sun from the morning until evening. Being across the road from Europa centre was ideal and having read previous reviews about people moaning about noise we took a 4 month old baby and a 12 year old. Music and noise stopped just after midnight and there was no bother. The gate being locked at night and security on site was reassuring. We would definitely book again as a family or even as a getaway without children as it suits both. Absolutely wonderful holiday. Great apartments lovely pool and fantastic hosts. the apartment was very nice, cleaned and well laid out. only problem was the shower which when turned on water escaped onto the bathroom floor. 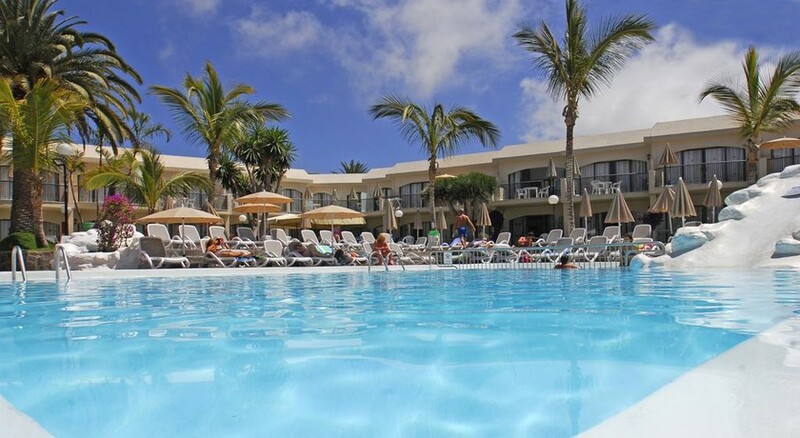 staff were accommodating very polite.it was reassuring that at night time the complexe had security officer working.the pool was clean and a good size, there was no problems in getting a sunlounger for the day. 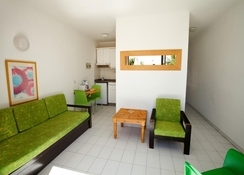 the complexe was ideal for the local shopping centre, taxi rank and for walking to local beach. I would definatley stay at the complexe again and will be returning November this year.